The Lesbian Intended Parent — WHO IS SHE? I want to live an open life and I am struck by eagerness to build a family made with COURAGE, INTEGRITY, and RESPECT. I will LOVE my future child with all my heart regardless of my sexual preference. My desires to become a mother are filled with astounding PASSION and AFFECTION. My every intention is always striving to become a better woman, a role model, a REMARKABLE mother-to-be, and an engaging partner. I am thankful that I have the opportunity as a lesbian in today’s society to seek parenthood, despite those who do not support me. It is truly an HONOR to be a lesbian intended mother. 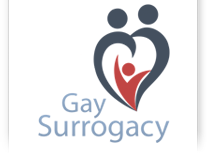 Are you looking to become a mother through lesbian family building options?